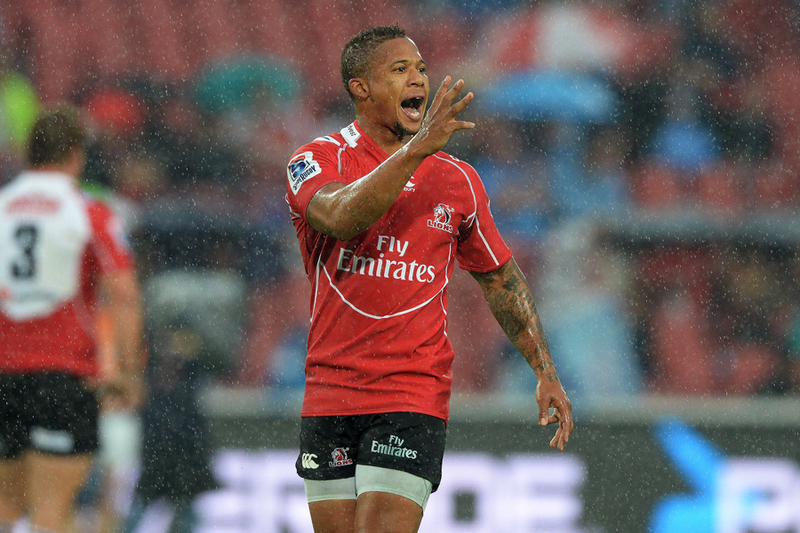 How will Elton Jantjies and the Lions go at home to the Sharks? The veins in his temple strained against the skin. If you looked closely enough, they might even have throbbed a touch, involuntarily, as he bent his knees and steadied for the strike. It was that tense. The whole first half had been that tense. The advantage swung between posts; a penalty this way and another, a penalty that way and another and another. He had the chance to even things out again before the break. If you think about it, nothing was really at stake. Nothing and everything. The Jukskei derby between the Lions and the Bulls is about a lot more than the winning and the losing; it's about one upmanship between neighbours. So actually everything was at stake. And he missed. It was only the second time he had missed all season, but he seemed to think it was the one he should have taken. Elton Jantjies flinched from the nervous system outwards as the Lions went to half-time trailing the Bulls 6-9, and he may never have looked more frustrated with himself. In that moment, Jantjies seemed to understand the true value of what his critics have often asked for from him. "Consistency," Butch James, whose career at the Lions overlapped with Jantjies' told ESPN. "He definitely has the talent but it is about consistency, turning up every weekend and doing the job; that's what becomes important." Now, Jantjies is playing like he knows that. 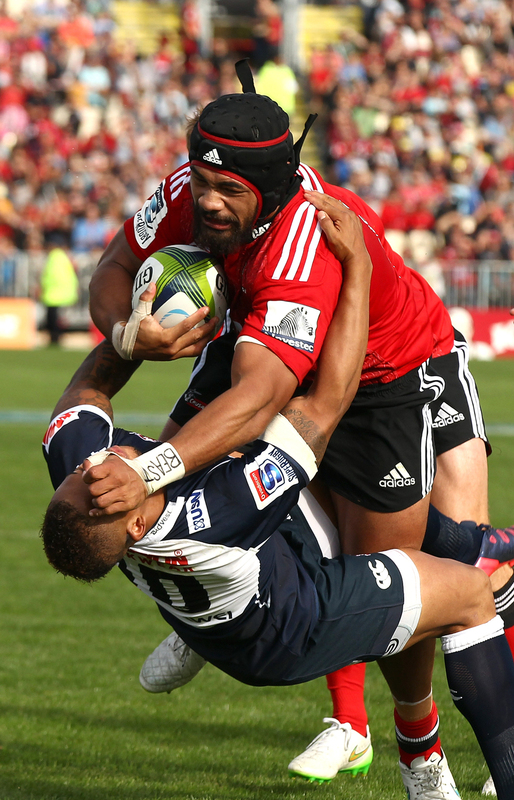 The ongoing 2015 Super Rugby season has been his most consistent yet. Since being given a spot in the starting XV, three games into the campaign, Jantjies has been central to the Lions' turnaround. He kicked everything in his first three full games, which amounted to eight penalties and three conversions, and played a pivotal role in running his former team, the Stormers, close and in the victories over the Blues and Rebels - when he played out of position at inside centre. That Jantjies was even entrusted with the No.12 position is indication enough of his progression. "We thought of trying him there last season but he wasn't convinced" Lions coach Johann Ackerman told ESPN. "Now he seems ready to take ownership of that role as well so we may play him there again - especially against Australian sides, who like to spread the ball about a bit. It's also good to have a player with a bit of an attacking vision in that position, so it's something we are working on." Just when everything seemed to be going as well as it could, Jantjies missed for the first time against the Reds; he was lucky it did not prove too costly. The Lions won that match by just a single point; four would no doubt have made Jantjies a little more comfortable. When he missed again, in what seemed a crucial moment against the Bulls on Saturday, he would not have been the only one wondering if the false dawn was starting to break. Jantjies has been known to show flashes of brilliance, even prolonged ones, before fading away; but this time, the sun has started to rise. In the second half, Jantjies kicked three more penalties and the conversion from the last-minute try that saw the Lions beat the Bulls. They still lie fourth in the South African conference, 10th overall, and they may yet have another bottom-of-the-barrel season; but at least one of their players, Jantjies, will not. He has returned to the place he made his name with renewed focus, fashioned by a stint at NTT Shining Arcs in Japan in which he was put through his paces and forced to grow up. "Elton was very close to his family so it was a big step for him to go away and have to earn a living on his own," Ackerman said. "He matured a lot while he was there. Also, as an international player, he was given a lot of responsibility and that was good for him." So good that when a major play was most needed - in a match Shining Arcs had to win to qualify for the top eight - Jantjies was able to step up. He kicked a drop goal in the penultimate minute of play against NEC Green Rockets to secure victory, became an immediate hero in a new place, and prove to himself that his most potent weapon remained sharp. Jantjies' kicking has been carrying teams since he first started playing. He scored 24 points to see the Golden Lions to victory in the 2011 Currie Cup final, and he had an 86% success rate for the Lions in the 2012 season that saw him earn his first Springboks cap; he had previously played in an uncapped game against the Barbarians. But other areas of his game have let him down, particularly the defensive aspects. When the Lions were relegated from Super Rugby in 2013, Jantjies moved to Cape Town to play for the Stormers but his attacking style of play did not fit with the more conservative, defensive role they demanded. His time there was written up as unsuccessful but that would not have been biggest worry. Mid-season, his father, a sergeant major in the army who was also his kicking coach, died after being stung by a bee. Jantjies returned to the Lions in 2014 but his homecoming was not that of a prodigal son. He missed the beginning of the season with a shoulder injury and lost so much ground to Marnitz Boshoff that he started only twice and played in just nine of their 15 games. He was not even on the radar at national level, with Patrick Lambie and Handre Pollard overtaking him. Jantjies knew he needed to find a way so he went away. Along with a change of scenery, the chance to learn a new language and immerse himself in a different culture, Jantjies also made a much-needed improvement. "I know that in Japan they run the guys hard, so I think he has shredded some of that puppy fat he was carrying when I was playing with him," James joked. And in getting leaner, Jantjies also got meaner. "Physically he is in the best shape he has ever been in," Ackerman said. The bulk has helped Jantjies, who stands just 176cm, become a more confident defender. "Elton never shies away from a tackle but he is quite a small guy so it could become a problem when the big guys are running at him," James said. Now, it is a problem no more - he has missed fewer than two tackles per game in Super Rugby this season, and he is the top-tackling back in the competition - and it may be the extra hooks Jantjies needed to catch the attention of the national selectors again, especially with the Rugby World Cup looming. South Africa's No.10 jersey may still be up for grabs, after Lambie did not entirely succeed in making it his own during the 2014 end-of-year tour. Lambie started three Test but kicked only eight of his 13 chances while his tactical kicking was questioned. Compare that with how Jantjies is becoming the complete package, and the Lions playmaker may be difficult to overlook, even if Ackerman says so himself. "Elton has got the ability as a goal-kicker and now as a defender," Ackerman said. "If he keeps up the form he is in, I won't be surprised he is picked." James agrees but warns Jantjies that the small things will be the ones that matter most. "I'd back him to take any kick in his own half and maybe even beyond. His commitment can't be questioned. He has always put in extra effort, practising kicks after practice and even doing some boxing training as an extra," James said. "But now it's all about limiting mistakes because at international level every mistake is magnified." And that could explain the fury in Jantjies' eyes when he went wide against the Bulls; little mistakes, a lot at stake.